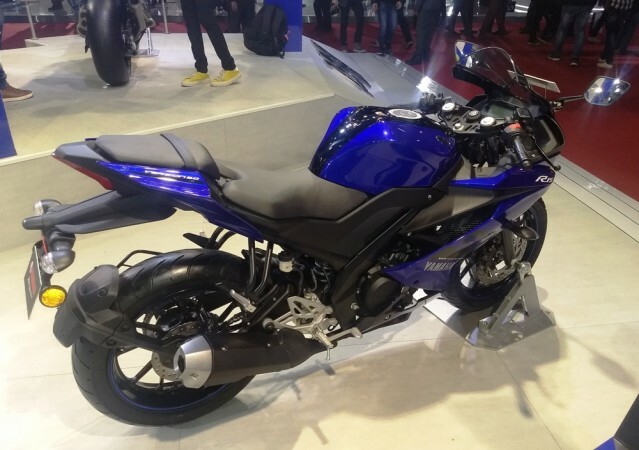 India Yamaha Motor (IYM) launched the YZF-R15 Version 3.0 at the Auto Expo 2018 in February at Rs 1.25 lakh. India Yamaha Motor (IYM) has silently increased the price of its popular 155cc full-faired motorcycle, the YZF-R15 Version 3.0, by Rs 2,000. The Japanese two-wheeler manufacturer launched the latest version of the YZF-R15 in India at the Auto Expo 2018 for Rs 1.25 lakh while the motorcycle now costs Rs 1.27 lakh, ex-showroom Delhi. Though the reason for the hike in price is unknown, ncreasing material costs could be one of the reasons. 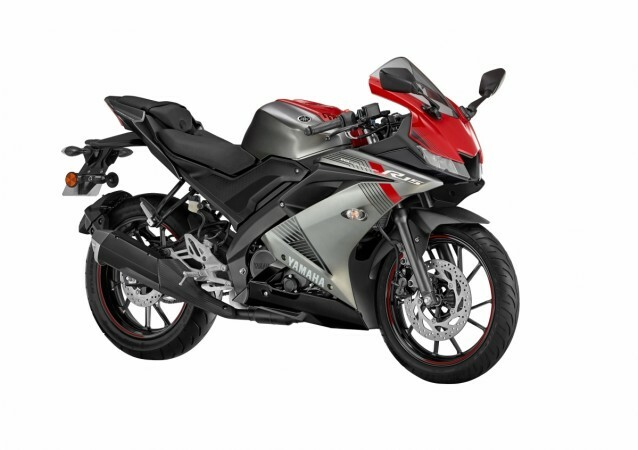 Even after the price hike, the Yamaha YZF-R15 Version 3.0 is a compelling case against rivals like Suzuki Gixxer SF and non-ABS version of the Bajaj Pulsar RS200. 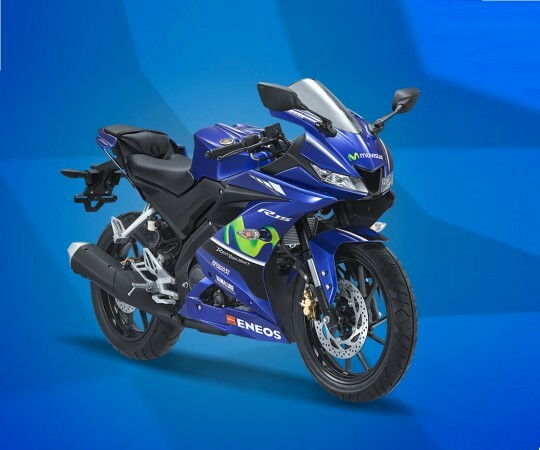 Though the launch YZF-R15 Version 3.0 happened not long ago, India Yamaha Motor is reportedly planning to increase the colour options by bringingthe MotoGP edition of the bike soon. The MotoGP edition is purely a cosmetic upgrade and comes draped in Movistar Yamaha MotoGP team's blue shade as the base colour. The Movistar logo at the on the headlamp cluster and fairing adds a race-bike styled livery. It will also feature the ENEOS logo on the belly pan. With the arrival of the MotoGP edition the colour range of the YZF-R15 Version 3.0 increases to three others being Racing Blue and Thunder Grey. The motorcycle is powered by a new 155cc liquid-cooled SOHC 4-valve fuel-injected engine in place of the 149cc engine. The mill has a 58.0-58.7mm bore and stroke, and an 11.6:1 compression ratio. It 19.3bhp of power at 10,000rpm and a maximum torque of 15Nm at 8,500 rpm mated to a six-speed transmission that also features an assist and slip clutch. In the latest avatar, the YZF-R15 Version 3.0 gets a sharper and aerodynamic styling. The headlamp assembly incorporates split LED headlights separated by an air intake. The muscular tank and fairing, and edgy tail section with LED lights are borrowed from its track sibling YZF-R1. Overall, the design is a significant step up from the YZF-R15 Version 2.0. Based on the Deltabox frame, India-spec YZF-R15 Version 3.0 get a conventional telescopic suspension upfront and mono unit at the rear. Braking power comes from 282mm disc with a two-piston calliper at the front while the rear gets a smaller 220mm disc. Unfortunately, ABS is not part of the package.